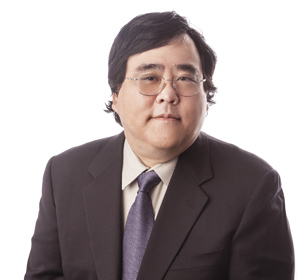 For over 20 years, Larry Inouye has provided the firm’s lawyers with detailed background information on a wide range of natural gas rate and certificate matters, electric rate design issues and hydroelectric relicensing concerns. As a Rate Analyst, Larry is responsible for researching natural gas issues, reviewing pipeline rate and certificate filings, and contributing information for pleadings. Other responsibilities include monitoring pipeline proceedings pending before the Federal Energy Regulatory Commission, attending Commission hearings and conferences, and providing litigation support. In addition, he researches electric cost allocation and rate design issues as well as hydroelectric relicensing, environmental remediation and compliance issues. Recently, Larry was involved in the recertification of the Cove Point LNG facility after that facility had been off-line for more than twenty years. The duties for which Larry was responsible included participating in strategic planning, identification of environmental concerns associated with bringing the facility back on-line, and the drafting of tariff and certificate applications. Drafts protests of proposed pipeline changes to terms and conditions of service. Drafts pipeline GISB compliance tariff filings. Conducts research regarding allocation of costs for electric transmission facilities. Reviews electric power contracts/rate schedules for a multi-state company seeking to reduce its power costs. Reviews state gas unbundling initiatives.